Having coughing, sick babies is not fun, any mom will agree. Especially when they are too little to take any natural remedies or honey. Thankfully companies like Hyland's are always coming up with new products to help us out. 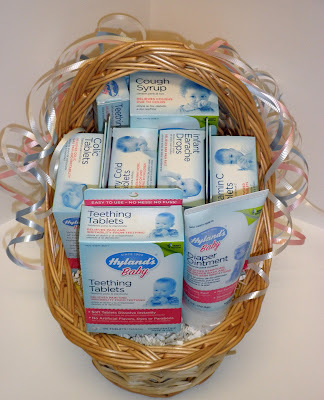 I'm excited for the new Hyland's Baby Cough Syrup suitable for infants 6 months and older! This safe and effective formula is great for seasonal coughs associated with colds. Hyland's Baby Cough Syrup is designed to alleviate coughs by stimulating the body's own defense mechanisms. The syrup is a pleasant tasting liquid that comes with a dosing syringe for accurate measurement and ease of administration. It contains no drugs (like acetominophen that I'm allergic to)! It is a relief to have something like this for my infant who is only three months now, but will be six before you know it, good to have it on hand for any coughs we may run into. 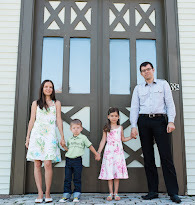 We are huge fan's of Hyland's, we regularly use the Kid's Kit in this house with great success and we also have the Hyland's Remedy Chest that pretty much covers any ailment you can think of. Best of all, it really works for us. You have to sort of know what you are doing, and I'm no homeopathic expert. But we happen to have holistic doctor who is, and I can just get on the phone with him and he tells us what to use from our remedy chest. Great not to have to drive to his office every time! If you don't win you can always buy Hyland's Baby Cough Syrup on Amazon or at a drug store near you. 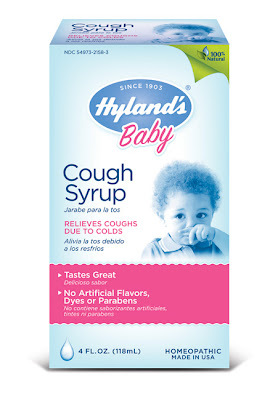 I love the Hyland's cough syrup for toddlers, so I'm excited they have a baby one too. I'm not a fan of masking symptoms, but sometimes the kid (and you!) just need to sleep. The syrup works so well I even took it once and it worked for me too. Also the taste is strong, but not too bad - my toddler likes taking it. I'll have to try the toddler one! :) Thanks for recommending it! My toddler actually has a really bad cough right now, just started last night.